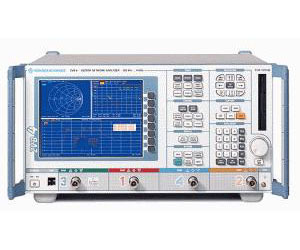 The brand new Vector Network Analyzer R&S ZVB covering the frequency range from 300 kHz to 8 GHz and 10 MHz to 20 GHz has been designed for universal measurements on passive and active components. Especially for multiport measurements and measurements on balanced devices the R&S ZVB simplifies vector analysis. Featuring comprehensive measurement functions, outstanding specifications, high measurement and data transfer speeds plus remote-control capability, the R&S ZVB is the ideal instrument for both development and production. The highly compact instrument weighs less than 20 kg and is 44 cm x 23 cm x 35 cm in size. Note: Image is of ZVB4.